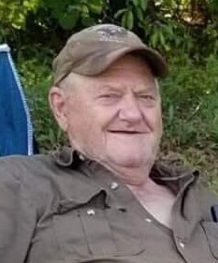 Polkton- Mr. William “Bill” George Perry Sr.,80, died Monday, October 15, 2018 at Carolinas Medical Center Union in Monroe. Bill was born in Anson County on March 12, 1938, a son of the late Josiah Perry and Beatrice Preslar Perry. He was a veteran of the United States Air Force and was retired from Reeves Brothers Inc.. Survivors include his children, William George Perry Jr. of Lancaster, SC, Debra Dawn Perry of Monroe, NC, Sunny Gail Keziah of Pageland, SC and William Travis Perry of Polkton; his brother, Bobby Perry of Polkton. In addition to his parents, he was preceded in death by his wife, Eunice Feagin Perry and daughter, Billy Kay Black.